The utility Farmall 60A is loaded with value for any operation. 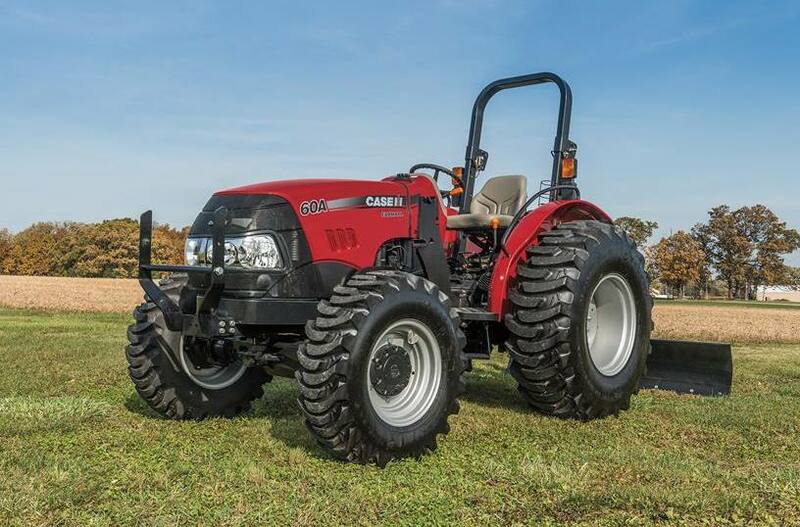 It delivers 60 engine HP and 51 PTO HP. Innovative Engine Design: The utility Farmall 60A is powered by a FPT 2.2L turbocharged and intercooled diesel engine. This engine features an electronic high pressure common rail fuel system that precisely meters fuel, increasing performance and fuel efficiency. The utility Farmall 60A meets the tough new Tier 4 B/Final emissions standards and features an exclusive particulate matter management system that requires virtually no maintenance. Designed for the Operator: The utility Farmall 60A was designed with simplicity in mind. The instrument cluster is simple and easy to read. Controls are placed within easy reach of the operator. The engine runs quieter and produces less vibration, reducing operator fatigue. Hitch, Hydraulics and PTO: The hitch has a lift capacity of 1896 lbs. Telescopic lower links and stabilizers make attaching implements easy. The PTO is 51 hp, an optional ECO PTO reaches 540RPM at lower engine RPM for fuel savings. The hydraulic system features an 11.9 gpm implement pump and one standard remote. Additional remotes are optional as your demands require. PTO Speeds, rpm: 540 std; 540/540E opt. Number of Standard Remote Valves: 1 std. ; 2nd opt.